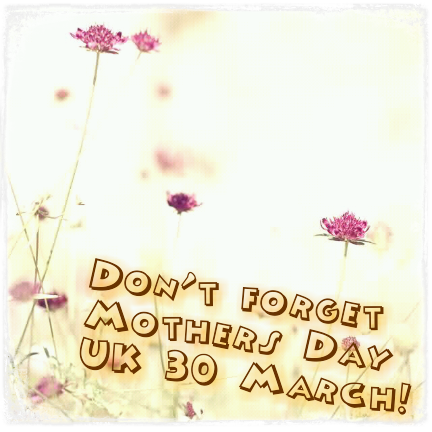 So there is a context for the image – Mothers Day – there is a link to the website for ‘call to action’. The hastags give an extra opportunity for the image to be found. Next I shared the image in 25 groups that are local to the business. At the time of writing (4 hours since posting) the images is recorded as having been seen by 347 people. Being seen doesn’t necessarily mean any major notice has occurred but that is much better than the majority of posts that get seen by 10-30 people. The page at the time of writing has 104 likes. 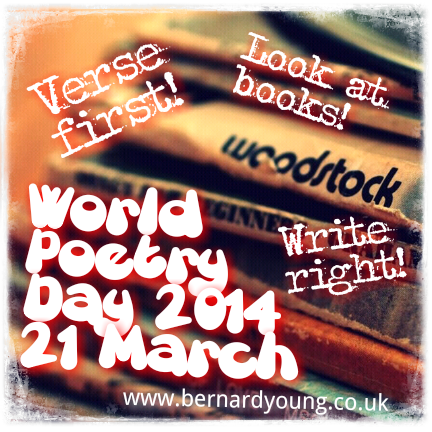 This next image was produced to take advantage of World Poetry Day to promote Bernard Young. I made two versions, both included his website address in the image as well. This image had the following description text when uploaded to Bernard’s Facebook page. This image was then shared in 25 groups (a mixture of writer and poet groups and teachers groups) and as a result a day later had been seen by 406 people (from a page that has 70 likes).The aim of this was to get more hits on the blog, which it did, this turning out to be one of the most viewed posts. And hits on the blog help get that site higher in the ratings with search engines. Bernard Young has been writing poems and ‘songs’ since his early teens. He is a poet and performer who works in schools. He has also published several books of poems for children. His latest book, Outside Looking In, however, is aimed at a more grown up audience. For over two years, pretty much every day, Bernard Young has taken a digital photograph and written a poem about it. Sometimes the poem comes first and he finds an image to fit it, but mostly the image comes first and that inspires the words. “Outside Looking In” has 61 pages of beautiful images and words about life, relationships, growing old, dreams, loss and love. This was an experiment to see if any book sales resulted, but also about more general promotion. This was shared in 40 groups for writers, poets, poetry and books. 9 hours later it had been seen by 276 people. There aren’t any analytics on the lulu site, so I can only judge the effectiveness if there are sales. Uploading an image on to a facebook page with a link in the description, rather than posting just a link, gives more opportunities to share the information within facebook to get more views – even without anyone then sharing the image on their own timelines. It also means everywhere the image is shared, there is a reference back to the facebook page, with the opportunity of picking up more likes for the page. Whereas when a link is shared there is only a reference to where it has come from with a small ‘via’ link.